Every language learner is different. Some people enjoy doing structured lessons in a classroom, some don’t. Luckily, in Berlin, there’s a wealth of options when it comes to working on your German. I’ve chosen five ways that will get you out of the traditional classroom setting, get you talking and, most importantly, let you have fun with the language. At Kunst Komplizen, a group of Art Historians have got together to run a series of Kunst & Deutsch events. They are a fantastic way to get people out of their comfort zone and have conversations and discussions beyond the everyday “ordering a Brötchen in a bakery”. The idea is that you go to a gallery or artist’s studio, talk about the art, ask questions and share your ideas. The great thing about learning German through art is that there are no wrong answers – everything is subjective. 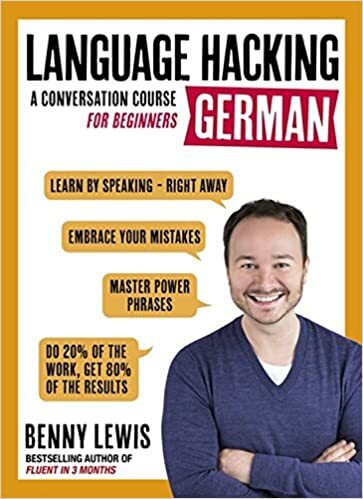 You also don’t need to be an expert on art (or German); handouts with useful language are provided and the guide/teacher does a wonderful job of keeping the conversation flowing and making sure everyone gets a chance to speak. Groups are also kept small for this reason. 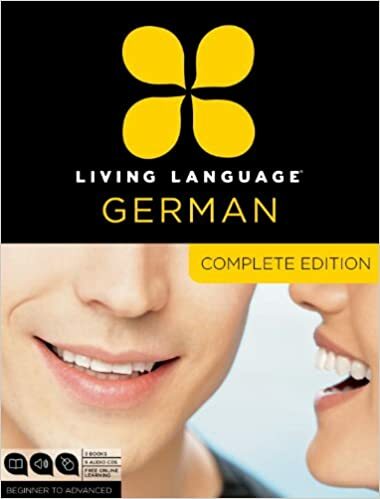 If you’re looking for a way to improve your German in a totally relaxed atmosphere, Deutsch für Dich could be for you. These informal, open classes are held in a bar in Neukölln, which is great if you’re one of those people whose language skills improve exponentially after a beer or a glass of wine. There are five different classes every week, covering three different levels – beginner, intermediate and advanced. A different topic is chosen for each class, for example, ordering in a restaurant, finding an apartment, hobbies and free time, etc. All materials are provided and, at the end, you simply pay what you think the lesson was worth. A word to the wise – get there early as classes tend to fill up fast and the room is pretty small! For people who don’t embarrass easily and like a bit of prancing around in their socks while learning German, check out German with Theatre Games. The concept is the brainchild of Nina Selchow, a trained theatre actress, and German teacher, who decided to combine her love of the theatre with language learning. Classes take place once a week in a studio in Prenzlauer Berg, cost €5 for an hour and a half and are suitable for A2 to B2 levels. A different theme is chosen every week and, in the words of Nina herself, her method will open up your “senses and imagination to the possibility of learning a new language”. Skip the years of study and jump right to the speaking part. If you’re at the stage where you feel you’re ready to unleash your conversation skills on a tandem partner, you can find one (or several) on the Erste Nachhilfe site. Simply register, fill in your native language and the language you want to practise and search for a partner or wait for them to message you. It’s a good idea to find two or three conversation partners as it can be hard to find a time that works. Give yourself a few options so that if one person is on holiday or sick, you can try to organise a meet-up with one of your other choices. Set rules – for example, half an hour in one language, half an hour in the other. In this way, one language doesn’t dominate the meeting and both people have a chance to learn. If the other person’s language skills are better than yours, it can be easy to revert to the easier language but persevere; it’s worth it! It’s that simple. It’s not enough to be surrounded by the language every day. You’d be amazed by the number of people who seem to walk around wearing ear plugs and blinkers. You need to listen, to read, to analyse. Look at signs and advertisements, break down those scarily long words. That couple you’re eavesdropping on on the train… why did she say that sentence that way and not another way? And yes, I’m condoning eavesdropping as an acceptable language-learning aid. There’s no such thing as politeness when it comes to learning a language. Ask questions. Lots of them. Will you drive your friends mad? Probably, but you can find new friends. If you find it too embarrassing speaking to people you know, find people you don’t know. 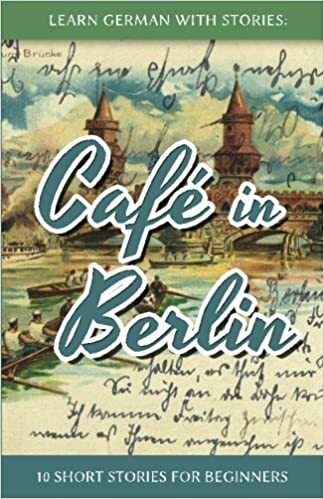 Go into a bar (there are enough of them in Berlin), order a large glass of something and strike up a conversation with the person next to you. Torture them for as long as they’re willing to bear and then move on to your next victim. Finally, above all, have fun with German. Don’t be afraid to make mistakes or to sound silly. With language, as in life, if you never made any mistakes, you’d never have anything to learn from. 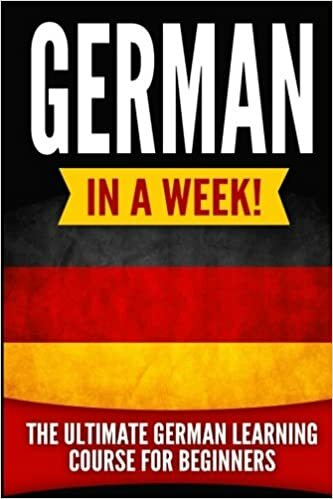 The ultimate German learning course for beginners.